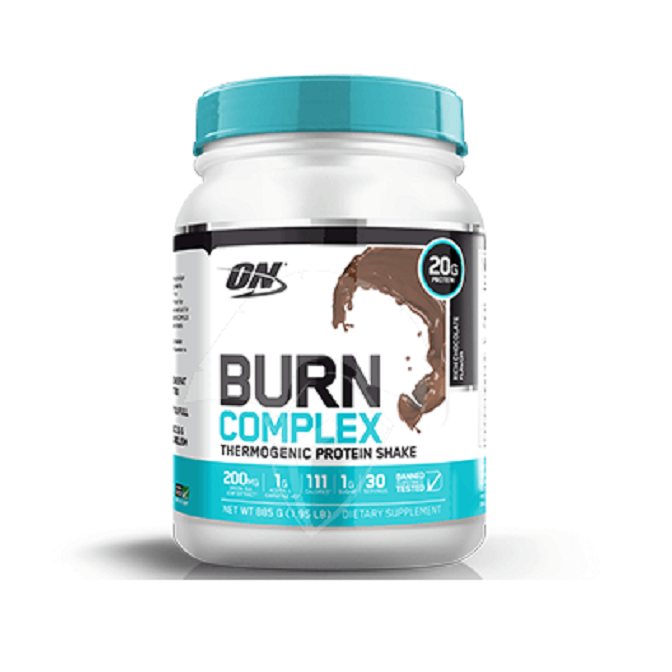 Burn Complex Protein is a thermogenic protein from Optimum Nutrition. This is the first time Optimum has released a thermogenic product range into the Australian market, so it is definitely an exciting product backed by the brand’s trusted reputation and quality ingredients. The thermogenic protein is an excellent quality protein designed to help keep you full as well as helping with focus and metabolism. Consisting of different forms of protein from WPI, WPC to micellar casein, this protein blend is designed to release evenly and be continuously digested for up to 6 hours after consumption. With excellent flavours and high quality ingredients, this is definitely a good choice. Protein Blend: The protein blend is made with varied sources of different forms of protein including whey protein isolate, whey protein concentrate and micellar casein. This provides a sustained release of protein throughout the day. Caffeine: Moderate-High dosage of the central nervous stimulant. Increases energy as well as playing a role in increasing metabolic and thermogenic rate. Acetyl L Carnitine HCL: Proven fat metabolising amino acid that helps to transport fatty acids and use them as an energy source while training. Take 1 serve of Optimum Nutrition Burn Complex Protein in 250ml-400ml of water or any liquid of choice post training. Mix well in bottle, cup, shaker or blender until the powder has completely dissolved. 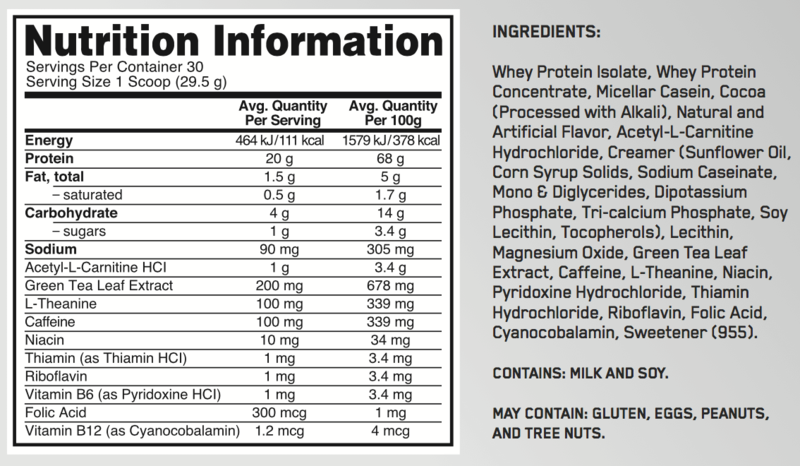 Recommended daily consumption of 1 serving.